Fifty years ago, the suburbs were seen as an ideal community for families looking for good schools and safe neighborhoods. But today’s suburbia is a very different place. 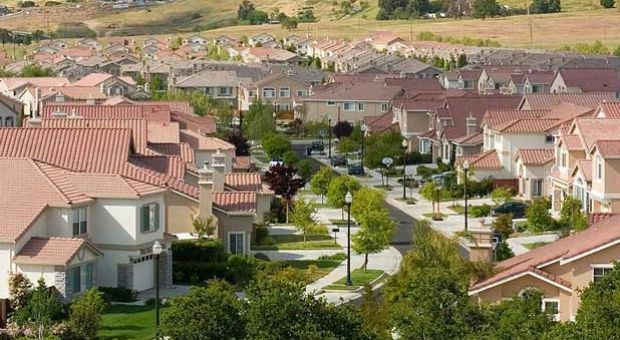 The suburbs are now home to the largest and fastest-growing poor population in the country. The spread of suburban poverty has many causes, including the subprime mortgage crisis and decline in manufacturing jobs. The suburbs have also become more ethnically and racially diverse and are voting more for Democrats. Meanwhile, many wealthy and middle class people are choosing to move back to the cities. Dante Chinni Columnist for the Wall Street Journal and director of the "American Communities Project" at the School of Public Affairs at American University. Leigh Gallagher Assistant managing editor of Fortune magazine and author of "The End of the Suburbs: Where the American Dream is Moving." Elizabeth Kneebone Fellow in the Metropolitan Policy Program at the Brookings Institution. Excerpted from “The End of the Suburbs: Where the American Dream Is Moving” by Leigh Gallagher. Copyright © 2013 Leigh Gallagher. Reprinted with permission of Portfolio Hardcover. All rights reserved. MS. DIANE REHMThanks for joining us. I'm Diane Rehm. The American suburbs are becoming more diverse, more economically depressed and voting more for Democrats. Public officials and civic leaders are rethinking their approaches to reducing poverty by focusing more on suburbs. MS. DIANE REHMHere with me in the studio to talk about how the suburbs are changing Leigh Gallagher, author of a book titled "The End of the Suburbs." Dante Chinni, he's director of the American Communities Project at American University and Elizabeth Kneebone, a fellow at the Brookings Institution. MS. DIANE REHMDo join us whether you live in the cities or in the suburbs. We welcome your calls, 800-433-8850 or join us by email to drshow@wamu.org, follow us on Facebook or send us a tweet. It's good to see you all. MS. LEIGH GALLAGHERThanks for having us. MS. ELIZABETH KNEEBONEThanks for having us. REHMGood to see you. Elizabeth Kneebone, you've co-authored a book called "Confronting Suburban Poverty in America." When did you begin to notice that poverty was shifting from the cities to the suburbs? KNEEBONEThe first time that we identified an actual tipping point whereas now there are more poor residents living in the suburbs of our major metro areas then in the large cities. That was in a paper my colleague, Allen Bruby (sp?) and I released in 2006. KNEEBONEIt was the first look at the American community survey which gave us a mid-decade look at local level poverty trends. And we knew that, you know, coming out of the boom of the '90s almost immediately after the census in 2000 we experienced a downturn, a recession, and we wanted to see how that had affected poverty trends across cities and suburbs in our major metro areas. KNEEBONEAnd while we expected to see an increase in the poor population following that downturn I think we were surprised to have seen this tipping point happen. And in looking at this on a broader perspective it's actually been since the 1980s that the poor population began to outpace that with its growth rate, that of the cities. And it's something that picked up pace in each decade. REHMAnd Leigh Gallagher, your book is titled "The End of the Suburbs." Did you also see that shift toward poverty from the cities to the suburbs? GALLAGHERI did, in fact, Elizabeth is quoted in my book. Her research has been really groundbreaking and it's just one of a number of pretty stunning reversals that have really kind of questioned the whole notion of the suburbs being this beautiful pastoral cultural pillar of America and really embodying the American dream. GALLAGHERThey've really morphed and changed and they have expanded to a degree that they're really failing to deliver on their promise for millions of people and it's a pretty sizable shift that we're seeing and it's happening for a number of reasons but certainly the poverty level rising in the suburbs is something I think a lot of people never thought they would see. REHMNever thought they'd see. Dante, and you've been following the political changes going on at the same time. Did you also see this poverty level growing in the suburbs? CHINNIYes, for what I do for the American Communities Project, I use some of Brookings data actually, Bill Fry's breakdowns to look at changes that have gone in different kinds of counties around the country. CHINNIAnd the interesting thing to me about the suburbs is you've got to break them into parts I think. There are areas that we call the urban suburbs which have grown incredibly Democratic and they've grown poorer. CHINNIThey've also grown a little bit, they're becoming much more like the cities in that they have wealth. They have concentrations of wealth and concentrations of poverty but the idea of a flat suburb I think has really disappeared. CHINNIWhat's really happened though is you go to these places called mature suburbs kind of close in suburbs around big cities. In 2000 the vote between Al Gore and George Bush was split, 48 percent to 48 percent. By 2012 Obama won those counties by six percentage points, 52 to 46 percent. CHINNIAnd something that really is interesting I think that happened in mature suburbs, if you use the census definitions for urban places the urban population of those mature suburbs, places that are urban density by census definition, grew by 9 million people between 2000 and 2010. CHINNIThat's a big jump and what it means is those places have become much more densely populated and in some ways have become much more like cities and with the problems of cities and maybe some of the high end wealth but a lot of the poverty as well. REHMIt's so interesting because as a young married back in the late '50s, I mean, what you wanted to do was move out to the suburbs to find that little piece of property, the big yard for the children and now what you're seeing is a move back into the cities. REHMBut talk about, Elizabeth, if you would the causes of poverty in the city, in the suburbs. What's happening? KNEEBONEThere are a number of factors we can look to that help shape these trends particularly in the 2000s where we saw the suburban poor population grow by 64 percent between 2000 and 2011. KNEEBONEOn one hand you have the factors related to low income people moving to suburban communities. KNEEBONEThings like where affordable housing is shifting, where jobs are moving. Jobs continue to suburbanize for most major metro areas particularly jobs that pay lower incomes like retail and services, construction. Also manufacturing jobs tend to be more suburbanized and they were hit hard over the last decade. KNEEBONEAnd that brings us to this sort of other set of factors we can look to which is longer term residents who may have lived in the suburbs for quite some time but have now fallen below the poverty line because of economic factors like the two downturns of the last decade or structural changes in the economy that saw the typical household income fall even before the Great Recession. KNEEBONESo we have, you know, losing sort of shedding these manufacturing and higher paying occupations and the jobs we see growing fastest even now in the recovery are ones that pay lower wages. Even working fulltime in some of these occupations wouldn't be enough to keep you above the poverty line. REHMAnd surely, Leigh Gallagher, the housing bubble had to of played a role? GALLAGHERIt had a huge role to do with it especially because a lot of the jobs, you know, many people were coming to the suburbs. In fact, many immigrants were coming to the suburbs first to take these, instead of coming to cities and then moving to the suburbs, going straight to the suburbs while all the home building was happening. So that was a big thing of it. GALLAGHERBut one, you know, Elizabeth made a great point about how a lot of it was people who started out above the poverty line or even healthier than that but then fell below it during the decade. So, you know, and in the suburbs, I go into this in my book, I mean, I talk about one nonprofit that says that they saw a lot of people who would come and say, "My God I used to donate to you and now I'm here." GALLAGHERAnd so, you know, and that has a lot of notes that kind of resonate with what's happening in the country in terms of the shrinking middle class but that and along with the fact that in the suburbs it's not okay to, you know, the suburbs is all about keeping up with the Joneses. GALLAGHERSo, you know, in addition to it being these people that maybe were doing fine in the beginning of the decade and then not, you know, they don't want people to know so it's, you know, falling below the poverty line isn't exactly keeping up with the Joneses. CHINNIThere are other factors I think to living in the suburbs that are a bit more costly. In some ways one of them is owning a car and having to have a car that you can get someplace in. It's got to be well maintained and actually probably in most places having to have multiple cars. That's an added expense to living in the suburbs. CHINNISomething that's really interesting that's going on when you look at the research is young people increasingly don't want to live in the suburbs. What you're finding is they want to move back to the cities. And one of the reasons is they don't want the cars anymore and it's really, there's a fundamental change going on how, what the country's going to look like in 10, 20 years. GALLAGHERIt's true, I mean, Diane you sort of touched on this earlier when you talked about the nuclear family, the whole 1950s notions of the suburbs is, you know, the mother, the father, the two kids. That is rapidly disappearing, I have a whole chapter in my book about the changing notion of the American family and it's really becoming the minority. GALLAGHERIn fact, I have a person from Polte (sp?) Homes, the nation's largest homebuilder, saying that the families, the traditional family structure is really the minority these days and that's huge. And then, you know, Dante makes a great point that these younger people they're getting their driver's licenses in far fewer numbers which is almost an enigma to us. GALLAGHERI mean, if you think about it, I talked to somebody in my book who says, you know, he looked at me said, "My daughter just turned 16 and I said, "You going to go get your driver's license?" and she sort of shrugged and she said, "Maybe next year." And he looked at me and he goes, "Maybe next year?" GALLAGHERBut that's happening all the data supports it all over the place and that has huge ramifications on where these young people, the future home buyers, once they leave their parents house which is where record numbers of them are living right now. Once they leave that is sort of one of the million dollar questions. CHINNIThere's another impact of it in terms of suburban living I think in general in this country is the auto industry is terrified by a lot of what's going on because if you think about it, if you're not getting your driver's license or maybe you're trying to live in a place where you don't have to have the car, the first car you get when you're 22 to 23 to 24, 25 years old. CHINNIAll of a sudden, you're not buying that car till 27, 28 years old. That's one fewer car you're going to buy in your lifetime. It's just a huge change. KNEEBONEI think another aspect to this whole transportation discussion is when you can't choose. When you're living where you can afford to live within a region and you may have to travel to another part another suburb back into the city to find work. KNEEBONEAnd often suburban areas are less connected to transit so transportation may not be an option. Or even if it is it may take you two hours to get to even a smaller share of jobs that someone in the city might, they might be able to access. So it raises questions about how does a family connect to the kinds of opportunities elsewhere in the region that would help them work their way out of poverty if they can't afford a car or have access to public transit. REHMIt used to be that those suburban communities had within their own frameworks, their schools, their stores, their doctors, their whatever. But now it seems to be disappearing, Leigh. GALLAGHERIt's true. I mean, you know, the suburbs grew up organically when they were first developed around railroad stations. And so because the car wasn't around yet they had to be built very densely and, you know, everything was within walking distance and they tended to be very village oriented and the best, I mean, the suburbs a lot of people are liking right now are those older suburbs. But, you know, over time especially after World War II when we really put the whole experiment on steroids a new model came to the floor and it sort of blew everything apart. I mean, I have, I quote in my book the planner Andres Duwanie (sp?) who calls this "turning things into an unmade omelet so everything is separated and that means people drive everywhere. REHMLeigh Gallagher, author of the book "The End of the Suburbs: Where the American Dream is Moving." She's assistant managing editor of "Fortune" magazine. Short break, we'll be right back. REHMAnd if you've just joined us, we're talking about suburban poverty, how that trend of moving out to the suburbs, enjoying the good life is changing. People do not have enough money to sustain their homes, their lifestyles within these suburbs. Leigh Gallagher is here. She's author of the book "The End of the Suburbs: Where the American Dream is Moving." Dante Chinni is a columnist for the Wall Street Journal, director of the American Communities Project at the School of Public Affairs at American University. And Elizabeth Kneebone is a fellow in the Metropolitan Policy Program at the Brookings Institution, author of the book "Confronting Suburban Poverty in America." REHMHere's the first email picking up on something you talked about, Dante. It's from Steven who says, "A major problem with poverty in the suburbs is lack of transportation. One needs two cars to go to work and school, but most jobs out here are minimum wage and you can't afford them. There are no buses either." Elizabeth. KNEEBONEThat's very true. That's a challenge that is coming to a lot of suburban communities. I mean, we know it's hard to be poor no matter where you live. But there can be a unique set of challenges to being poor in a suburban context, particularly as we've seen poverty grow in all kinds of suburbs. As Dante was saying, you sort of have to break the suburbs out entering closer in places that may have struggled longer, saw poverty grow in the 2000s, but so did exurban places and more affluent communities that we might think of as immune to these trends. KNEEBONESo poverty's growing in a lot of communities and in many ways it can be hidden in these types of areas. And so people are facing challenges with maybe not having public transit accessible. Or if it's there, it's not really connected to where the jobs are growing in the region. And on top of that, it may not be connected to where services are because the safety net can be very thin in suburban communities and patchy. So even knowing what services are available to you is one obstacle. The second then is how do you get to them? CHINNIYeah, I mean, just thinking even just about what a suburb looks and feels like most suburbs in America, I mean, just supplying mass transit is more difficult because of less population density. There was a really interesting statistic I heard yesterday on NPR about the average age of automobiles on the road was at an all time high. REHMI heard that this morning. CHINNIAnd it's about trying to make that car last as long as you possibly can. REHMSo that also is something facing suburbanites, Leigh. GALLAGHERIt is. I mean, the suburbs were built -- the modern suburbs were built around the car. They were built around the car more than they were built around people. And that's because when they were -- you know, I have a whole chapter in my book about the history of the suburbs -- when they were designed this way it was when we were sort of newly fascinated with the car. And so as a result you have people doing -- 3.5 million people in this country have commutes of over three hours a day. And so that just really has a number of ramifications, health, psychologically, relationships. GALLAGHERYou know, people often feel that they're prioritizing the family. Oh I'm going to go move out and get a yard and space for my kids. But if mom or dad is not there ever to enjoy that yard when it's daylight out because they're spending all their time on the road, it's -- in a way that actually is de-prioritizing the family. And I think that's one of the many disappointing things that a lot of people are coming to terms with. REHMSo you've got wealthy people, those who can afford it, moving back to the city. And that leaves the suburbs even more bereft. GALLAGHERExactly. We're seeing this big transfer of wealth from the suburbs into the city. And it's people, it's also retailers, it's corporate campuses. It's even -- there's a stat in my book about how sport stadiums, you know, for a long time were built if not in the suburbs proper, they were right near the big highway interchanges so everybody could get to them quickly. And now I have a survey of about 23 ballparks built since -- in the past decade or two. All but one or two were built downtown. KNEEBONEYeah, and I think that idea about what's going on with the suburbs that people have the resources are leaving and the people left behind are stuck. And often you see it's not just places where -- that are booming in population where poverty has grown quickly. It's places that may be even shedding people. But the poor population is still rising as people left behind are falling into poverty. KNEEBONEAnd as a result, you know, we have seen increased concentrations in poverty, even in the suburbs. That's something that we tend to think of as a very urban challenge. You know, the negative effects that come from concentrated disadvantage. And while that still is very much present in cities and cities have seen that grow over the last decade, suburbs have too. And about a third of residents in suburban communities now live in neighborhoods with poverty rates of 20 percent or more. And that's where we begin to see those negative impacts of concentrated disadvantage. So it's a very concerning trajectory of what's happening in those communities. REHMSo, Dante, how did this demographic changes -- you spoke about this a little bit earlier -- how did they alter the political landscape? CHINNIWell, the way I've always thought about it, and I think the numbers hold true for this, the way you've thought about politics, I think, for the last 20 years maybe before this last decade, is the Democrats have long held the cities and the Republicans kind of held the suburbs in rural America. Or the suburbs were a battleground. What's really happened over the past ten years is the suburbs have become democratic territory. The Democrats have essentially pushed the line out. They held the cities. They now kind of hold the suburbs because the suburbs have changed. The suburbs have become more like the cities. CHINNIAnd it's really kind of fundamentally changed the way politics are going to unfold in this country because Republicans essentially have to find a way to push the line back in. They've been pushed down to the excerpts in rural areas. They need to find a way to push that line back in now. And it's going to involve, you know, some changes in terms of the way Republicans address a whole host of issues because there's just too many people to write off the cities and the suburbs. They need them. KNEEBONEWe just actually released a research note yesterday looking at how suburban poverty maps onto the political landscape. So if you can look at what districts in our 435 congressional districts, how many contain at least some portion of the suburbs, and it's quite a large number. And about -- among that number, when you look at where growth in suburban poverty happened, you have 173 Republican-led districts that experienced an increase in growth in their suburban poverty numbers compared to about 151 Democratic districts. KNEEBONESo this is something that crosses part lines and it is about how do we get this on the table as something that both Republicans and Democrats are talking about as a shared challenge, as something their constituents are facing. REHMIs this just in some parts of the country where all this is happening and not in others, Leigh? GALLAGHERIt's really everywhere. And it's funny. I actually interviewed in my book Bill Frey from Brookings and he gave me a great quote that I love. And it really reflects on what we're talking about. He said -- I mean, basically the suburbs grew so much and became so big and encompassed so many people that he said, you know, they just became to mirror the country in general rather than starting out as these separate enclaves for the wealthy middle class. They -- everything seeped in. And he said, you know, now if it's part of America it's part of the suburbs. So they're reflective of us in general and all the good and bad things that that brings to bear. REHMAll right. We've got lots of callers waiting. We'll open the phones. First to Venice, Fla. Hi there, Marty. MARTYHi, Diane. Thanks so much for taking my call. MARTYI just wanted to start with a thought that basically we keep talking about the American dream and how it's changing. And I think if you go back to the beginning of the country, the real American dream was not that we would -- you know, you would come here and live an elevated comfortable lifestyle or have benefits. It was that you would have an opportunity. And what's happened since then -- you know, people weren't given things other than the opportunity to create something for yourself. MARTYAnd it seems like the things that we're doing to decrease poverty are actually increasing it. And we're looking for others to provide employment. So I think what we need to do -- when the country was first started, over 98 percent of the population were small business owners. But due to governmental red tape and interference, that number has decreased at this point to somewhere around 15 percent. And what happens is, real wealth and healthy finances come from business. Money doesn't come from anywhere else. MARTYSo it's enabling people to be business owners, to start a business instead of putting them hat in hand to look for someone else to provide for them. CHINNII think there are a number of reasons why there are fewer small business owners in the country, and I think a lot of it has to do -- because I actually look at a lot of this data in terms -- a lot of it has to do with the rise of chains and -- retail chains. And even when I think about it, you can see the -- it's the nationalization of so many retail outlets, even in terms of department stores going from being citywide phenomena to being national. Coffee -- the coffee store at the corner has been replaced by Starbucks. The burger place has been replaced in some cases by McDonald's. CHINNIThis is what's happened -- I mean, this -- what's happened in terms of the economic side of this is these things have grown very large. And basically the room for the small business owner is much smaller. Where you do see some small business owners actually, boutique burger shops where the burgers are 9, $10 or boutique coffee shops where they pour the water exactly over the Guatemalan beans to give you exactly what you're looking for. But, you know, those are not small, cheap businesses to start. REHMBut look at precisely the opposite, the big guns, the Wal-Marts wanting to move into the cities now. Here is Washington certainly, as we await the mayor's decision, the Wal-Marts -- three Wal-Marts wanting to move, whereas they all used to be out in the suburbs. That's a real change, isn't it? GALLAGHERIt is absolutely. I mean, retailers from Wal-Mart, Target, Best Buy, even PetSmart, they're slimming down and they're finding smaller spaces they could never find before. And they're squeezing themselves in to get into cities because it's part of the -- they're following the money. And, you know, there's real opportunity there. I mean, the flipside of that is you go to the upper west side of Manhattan now and it looks like a suburb. I mean, all of the stores, it's like all these massive chains now all up and down Columbus Avenue. GALLAGHERBut it's a major, major reversal. CHINNII've actually looked at some numbers on this with one of my favorite chains, Whole Foods, which is fascinating because what they've done is they have branched into the suburbs. This is the other side of the urbanization of the suburbs, where they've done everything they can in the city and now they're marching out to their customers in the suburbs. It's a big dense urban mass. KNEEBONEI think that something we've seen in our research recently too, just looking at where jobs are located within the largest metro areas, even in the wake of the great recession. And it is possible for a region to be growing in its core and at its suburban fringes at the same time. In fact, that's something we saw in the D.C. region over the 2000s, even as we managed to add jobs within three miles of downtown. We also saw big job growth more than ten miles away. So I think we'll see more of a varied map as jobs start to come back in the recovery. REHMAnd let's go to Meridian, Miss. Hi, Anthony. ANTHONYHi there, Diane. I'm actually on a road trip and I just passed Meridian so I've driving in the middle part of Mississippi right now. REHMOkay. I hope you'll pull over to the side. ANTHONYI am. I have a question about an interesting demographic shift. As baby boomers get older and presumably have paid off their houses in the suburbs and no longer have children around and retire, when they move on to fixed incomes my question is, how does that affect the poverty rate? GALLAGHERI do think that -- and that was the key phrase. If you have the money. GALLAGHERIf you have the means and the ability then your preference is you can follow those to more walkable dense places, whereas some people are going to be stuck aging in place and communities are going to have to adapt to that as they have an aging population who can't move. REHMAnd you're listening to "The Diane Rehm Show." To Toledo, Ohio. Hi, Matt. MATTHi, Diane. I'm enjoying the show. MATTI think one of the scenes of this all -- and you just spoke of it -- money is getting precious, time is getting precious. And you'll have more of both if you downsize, move into a city so you don't have to drive as much, you don't have as big a yard to maintain, a flower garden to maintain. People -- you know, more was better until you had to maintain it. KNEEBONEThat's absolutely true. I have somebody in the book, a developer in Los Angeles who says, you know, the only thing you can't buy -- the only think you can't buy is time. And that's what, you know, these long commutes have done to people. So -- and that's why a lot of people -- you know, the future isn't just moving to skyscrapers in New York City. I take great pains to say this in my book. The future is moving to more walkable communities, you know. KNEEBONEWhere you can -- maybe you've got to drive there but you get out of your car and there's somewhere interesting to walk around and get a cup of coffee and run into somebody. And there's more of a sense of community and you don't have to drive ten or twenty miles to get there. So, you know, another theme that kind of runs throughout my book is that location, location, location has moved to access, access, access. And that is happening -- you get that in the cities obviously, but you also get that in the right kind of suburbs and the ones that are trying to reinvent themselves for the future. REHM...here in Virginia. Tell us more about what's happening there. CHINNIWell, Lowden's fascinating because it is the richest county in America right now. It went for Barack Obama in the last election and it went for Barack Obama in the previous election. And one of the interesting (sic) that's happening in Lowden right now is it is growing more dense. And it is adding -- the developments it's adding are about creating a city in -- I looked at this in Leesburg -- in -- a city actually in a suburban place. So they've got a massive mix use development going in. CHINNIAnd the whole point of that development is to not have to have a car. I mean, you have to have a car to get there. But once you're there you're supposed to be able to live a walkable life in a place that's not really a city at all, or never used to have that option. CHINNIWell, we're going to find out, right? I mean, but it's -- the advertising for what they're doing when they're trying to bring people to this place is come live a city life here. Come live a walkable life out here in Lowden County. That's what we want you to do. REHMBut aren't Republicans still winning state congressional and local elections? CHINNIYeah well, state politics are always different. You've got to be careful. CHINNII mean, that's national politics and presidential races are nice because everybody comes out and votes. And you have a real set of questions on the table. When you get to local politics and local -- even this gubernatorial race, I think we're going to see things a little differently. I'll be curious to see what it looks like. REHMSo, Elizabeth, antipoverty programs, up to now at least, have focused mostly on cities. You're saying now, they're going to have to really readjust to look at the suburbs. KNEEBONEThat's right. So over -- if you think about the last 50 years since the war on poverty and the kinds of programs that we've put in place to address poverty in the context of place, so you know, poverty in communities, there are over 80 programs that we've developed over ten different agencies. And currently it's about $82 billion a year that go towards place-based antipoverty programs. But most of these programs were made with a different mental map in mind. They're much more focused towards urban areas and don't necessarily map easily onto suburbs. REHMElizabeth Kneebone. She's coauthor of "Confronting Suburban Poverty in America." REHMAnd welcome back to our discussion of what's happening in the suburbs, how there is now growing poverty in the suburbs and efforts on the part of cities around the country to address that. Here's an email from Kristin in Grand Rapids, Mich. She says, "Is this trend of wealth moving back into the city related to an uptick in gentrification in parts of the country? What happens then to the poor who live in the city and can no longer afford the neighborhood? Are they the ones moving to the suburbs?" Leigh. GALLAGHERThey are. And, I mean, that's what we saw in the -- during the housing boom, the whole drive until you qualify mania, saw the most -- the people who could least afford it moving the furthest away because that's where the deals were. And you're right, Manhattan -- I mean, we were just talking during the break. My neighborhood in Manhattan, the West Village, is now filled with, you know, 25-year-old investment bankers. I mean, it's become -- the catch 22 of all this is that cities -- as cities become more desirable, the prices are also going to go up. KNEEBONEI think it's so interesting. This trend is so striking in part because it has happened in so many metro areas across the country in very different kinds of markets. So you have places that have been struggling for longer and the old rust belt, like Detroit and Cleveland, who for the first time have more poor in their suburbs than in their cities. You have places like Seattle or the Bay area, stronger markets that have also seen this great uptick in their suburban poor population. And big boom places like Atlanta that they saw a 159 percent increase in their suburban poor population between 2000 and 2011. KNEEBONESo when we talk about the different factors that come into play in these places, gentrification is definitely a concern when you think about tight housing markets in really strong places like D.C. or New York or the Bay area where people may actually just find it difficult to live in the city anymore at an affordable level and look outward. But it's not enough to explain the whole trend because this is happening in so many different kinds of places. REHMSo the title of your book "Confronting Suburban Poverty in America," what are these counties or areas doing to help those folks? KNEEBONESo some of the most innovative and promising examples we've seen in different regions across the country are finding ways to think at a bigger scale about approaching these issues. Because it's not like poverty moved away from the cities. You know, poverty grew in urban areas as well. So really it's just that this is a regional -- it's a metropolitan phenomenon now. Suburbs are struggling alongside cities with challenges related to poverty. KNEEBONESo approaches to addressing poverty have been focusing on things like how do we cross jurisdictional lines, how do we think at a bigger scale, work across policy silos, so you're not just thinking about housing, you're thinking about how it relates to transportation and where the jobs are, what are the kinds of skill sets that will help people connect to a job that will help them work their way out of poverty. So it's finding ways to do more than one thing in more than one place at the same time with very limited resources. REHMAnd Steve in Oxford, Ohio writes, "What is the likelihood that cities and suburbs of all kinds will adopt one of the solutions to suburban poverty which is tax revenue sharing such as that adopted in the twin cities of Minnesota?" Dante. CHINNIWe were talking about this a little bit at the break. And it's a fascinating -- it's a fascinating idea because the cities have struggled for such a long time that there's long been talks about having to do regional revenue sharing like, you know, the suburbs have to kick in to keep the city strong because it's in the good -- it's in the best interest of the suburbs in the end. You know, what we're seeing now is maybe -- the one way of looking at it is it's a reversal where the cities are going to have to help to come through for the suburbs. CHINNIYeah. The old boundaries just don't -- they don't work the same way anymore. GALLAGHERWell, I have a source in my book named Chuck Marohn and he runs a blog called Strong Towns. It's all about advocating for building more financially sustainable communities. And his whole point, he thinks that the suburbs are a Ponzi Scheme because of this tax revenue equation, whereby the tax revenue that you collect at such low densities doesn't come close to covering the cost of building the infrastructure, the sewers, the pipelines, the everything, let alone maintaining it, and so the only way to finance it is to just keep growing, more growth. And so that's a whole other kind of angle on this same discussion. REHMAll right. To Snellville, Ga. Hi, David. DAVIDI'll try to be quick. DAVIDThe first thing is that I think every cause mentioned so far is completely valid, but I think there's a lot of -- a lot more value in looking at an individual cause such as spirituality. I know in a lot of discussions it's not -- it's not considered. And I see it where there's kind of hedonization of our nation, you know, where people are looking to -- what might please them. And what that's resulted in as we've seen is that there's less of a family culture and more of an individuality culture. Whereas for me and my family, we would rather live in a suburb where I can play with my kid out in the backyard and garden with my wife and my daughter and all that. REHMYeah, David, that's exactly what single people are trying to do. Your focus is on family and I applaud you for that. Everybody is trying to make a choice that works for them. And clearly that suburban choice works for David. GALLAGHERAbsolutely. And I think one of the things we're going to see is a sort of patchwork situation where, you know, people want to be surrounded by people that are like them. And so suburbs now come in every kind of flavor, style, ethnicity, everything. And, you know, the fact is, I mean, the family structure -- the family households are declining in this country, so we are going to see suburbs in the whole have more aging people, as Elizabeth mentioned, which presents a whole different set of challenges, but it also, you know, it changes the school equation as well. GALLAGHERSo if there's a good school in your suburb, that will attract more families. Whereas other suburbs might see families leave if the school has not been so good because maybe the taxpayer base isn't as concerned with schools as much. CHINNI...to live different sorts of lives. REHMExactly. To Houston, Texas, Jeffrey, you're on the air. JEFFREYGood morning and thank you so much for this marvelous, marvelous program. JEFFREYAnd I got on early so I got a whole bunch of points that came up since then, but my first concern is that in this discussion one does not confuse correlation and causation. What we used to call in philosophical logic, post hoc ergo propter hoc. After, this, therefore, because of it. Phenomena happen, but we have to dig really deep to find out why. And you're beginning to get into that. Secondly, I'm down here in Houston having come from North Jersey. And Harris County which is essentially Houston City, fourth largest city in the United States, is -- 90 percent of Harris County is Houston. Once you get out of the -- out of the urban core of Houston, the county -- the city looks like a set of suburbs as each development grew up and the gates got put around the developments. JEFFREYBut if you go up to North Jersey where I came from along the way, it used to be old Central Railroad of New Jersey. Roselle Park, Garwood were very, very blue collar, very lower end of income when I was a kid. Now they are gentrifying. The Jersey Central Commuter line, which is now run by the state, went down. They actually tore up tracks. Now they're putting tracks back. They're getting more and more trains on that commuter line going into New York. Same phenomenon is happening in Pennsylvania in the corridor between Philadelphia and Harrisburg. They call it the Keystone Commuter line. That is increasing not only in ridership, but also in number of trains and they're putting in new train stations. JEFFREYIs that I would not simply say the suburbs are becoming poverty areas. CHINNII agree. I do think that -- I think the larger point is the suburbs are urbanizing. That's what I always say, the suburbs are urbanizing. There are going to be pockets of wealth in the suburbs, but there are increasingly pockets of poverty. They're looking more like cities without the tall buildings. KNEEBONEI do -- I mean, I think the takeaway is that idea that there is one suburb. Like the suburbs are one thing is just outdated. KNEEBONEThat really it's a diverse array of places. And some of these shifts are happening in places you wouldn't expect it. They're touching new communities. It's reaching further out in these regions. But the reality is no one suburb is going to have the same experience, and even the experience of poverty is going to differ depending on what kind of suburban community you live in. REHMAll right. To Brambleton, Va. which is in Loudoun County. Hi, Derek. DEREKI just want to make a point that where I live in Brambleton in Ashburn, Va., like Harris Teeter is right across the street from us, Sweet Guy. We got Regal Theater. We got malls all centered around -- in our neighborhood. We also have a park. I have a -- we also now have a commuter bus that is about ten blocks away from where I live. And I work here in D.C. And it only takes like one hour and 15 minutes, so I don't need a car to get to work and everything. I think mostly everybody who likes to live out there in that area because it's family oriented, young and old. DEREKAnd I think that's what people like. Usually mostly people who come here in D.C. are younger, maybe one child or none who wants to come back into D.C., but you have people who's moving in the area like Brambleton who is just family oriented. And mostly every business out there is catered to family. CHINNII'm just curious, how many Starbucks do you have like within two or three miles of your home? DEREKYes. We have, like, one Starbucks and a Caribou that's in the mall that's across the street from us. REHMBut, Derek, it sounds as though you're very content with your situation and that's what we would all hope to be. Congrats on that. Let's go to Garfield Heights, Ohio. Hi, Marie. MARIEHi, Diane. I love your show. You are the best of the best. MARIEAnd my comments are I live in an old inner suburb of Cleveland. And we have a lot of foreclosures, empty houses. And I do like the idea of those old stores that years ago my husband has told me we lived in this -- he's lived in this house 86 years. MARIEAnd the stores were right down here on the boulevard. Everything was there. The bakery, the butcher, everything. And I know when I married him and came here, we had a little corner grocery store too. But everything went further out to the suburbs. And I do miss that Cleveland. When I worked down there, it was a wonderful place to work. And now what I hear, the old Hannah building is going over to apartments. And of course the young people are going in. And I do like the idea of being able to take a bus or walk to something instead of have to get in the car. And the way that things are going, automobiles, I don't know who's going to be able to afford to buy them. REHMAnd you're listening to "The Diane Rehm Show." I think Marie has a great point. I mean, automobiles are more and more expensive. And if you can find a place that you're comfortable in that has transportation or you can walk to various shops, stores, whatever, more power to you. Let's go now to Detroit, Mich. Hi, Julie. Julie, are you there? JULIEYes, I'm there. I'm here. Can you hear me? JULIERight. But we don't have mass transit, Diane. JULIEWe have to have a car. If you live in Detroit, you have to own a car or you cannot get to a store. JULIEYou cannot get to your job. You cannot get to the doctor's or take your kids to school. JULIEAnd there are hardly any buses and there are less and less buses because we don't have the resources. CHINNIYeah. I grew up in suburban Detroit. There were four people in my house. My older sister had moved away, but there were four of us in the house. We had four cars growing up in suburban Detroit. There is -- I will say there is this small area of the city of Detroit that's eight square miles downtown that is actually transformed. The problem is Detroit's 139 square miles. KNEEBONEAnd it's a region where more than three-quarters of their jobs are more than ten miles from downtown. KNEEBONEAnd you don't have transit that's built to match that sort of sprawl and that extensive reach of where jobs have actually grown in the region or where they're located now. REHMBut, you know, Detroit is also a place where out in the suburbs there are very wealthy people, huge homes, downtown Detroit is practically empty. So, I mean, all kinds of trends going on. And it's important for us all to watch them. Thanks for your call, Julie. Good luck to you. REHMAnd thanks to all of you. Leigh Gallagher, author of the book "The End of the Suburbs: Where the American Dream is Moving." She's assistant managing editor of Fortune magazine. Dante Chinni is a columnist for the Wall Street Journal, director of the "American Communities Project" at the School of Public Affairs at American University. Elizabeth Kneebone is at the Brookings Institution and coauthor of the book "Confronting Suburban Poverty in America." Thank you all.